"Tribute Media built exactly what we needed for the project portfolio section of our website. It functions perfectly on both our PCs tablets and phones." Founded in 1995, Lochsa Engineering is an innovative and value driven engineering, surveying, and BIM design firm. Lochsa Engineering chooses technically challenging projects while focusing on delivering creative and effective results. 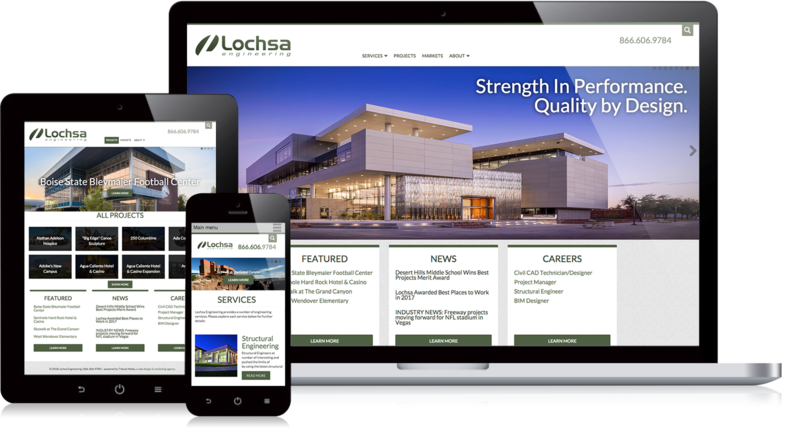 Lochsa is dedicated to cultivating new relationships, building a cohesive design team, and delivering operative project solutions, and has earned the trust and credibility from a variety of clients in the private and public sectors, governmental agencies, architectural firms, and building contractors. 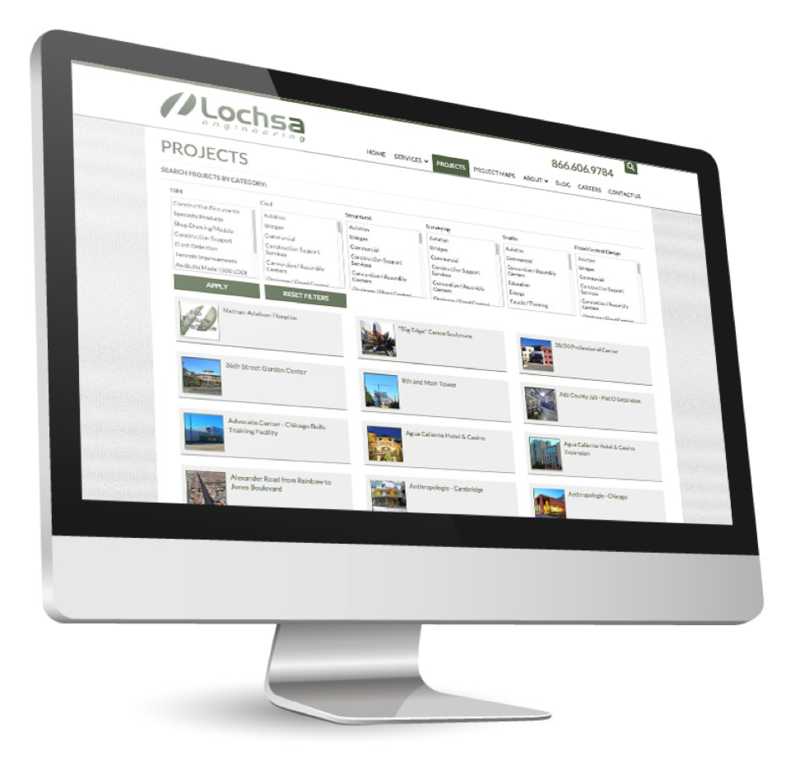 Lochsa Engineering needed a portfolio that was able to hold all of their projects but was easy for clients to browse. The catalog needed to be easy to browse on all mobile devices. The Portfolio needed to have a very fast load time and not take a lot of extra code to make the portfolio work on mobile devices. “We need to keep the website function simple and intuitive while have very robust functionality for profiling the clients project gallery for both desktop and mobile users." Tribute Media developed a website for Lochsa featuring a portfolio that was both easy to navigate, but also easy for the client to update the portfolio page with new projects. The portfolio page was specifically built to function on both desktop and mobile devices, using different interfaces but keeping the same organization. Lochsa engineers, clients and potential clients can now call up any project on their portfolio page no matter where they are. The new website features an interactive and intuitive project gallery to feature their work across devices. Lochsa continues to have a simplified way to keep their portfolio page up-to-date with all of their most current projects. Lochsa now has a fully compatible website that gives them a professional online presence. The custom project portfolio is dynamic and intuitive for their clients and potential clients to easily navigate and share on any device. As the need to provide information on demand, Lochsa can now meet with clients and potential clients at any location and review their projects in the optimal formatting the device allows for.